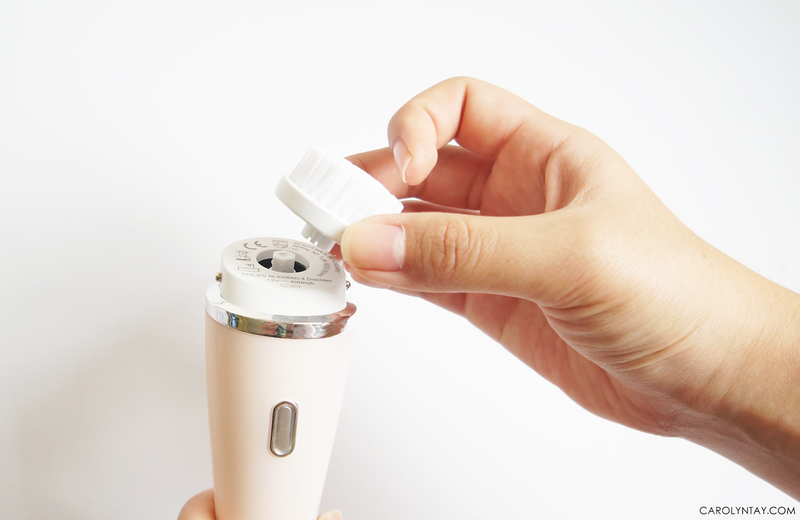 I finally gotten my hands on the award winning VisaPure Cleansing Device that has recently arrived in Malaysia ♥ I used to use my fingers in my face cleansing regime but I am so hooked on cleansing devices after started using them. It is seriously way different using these devices. 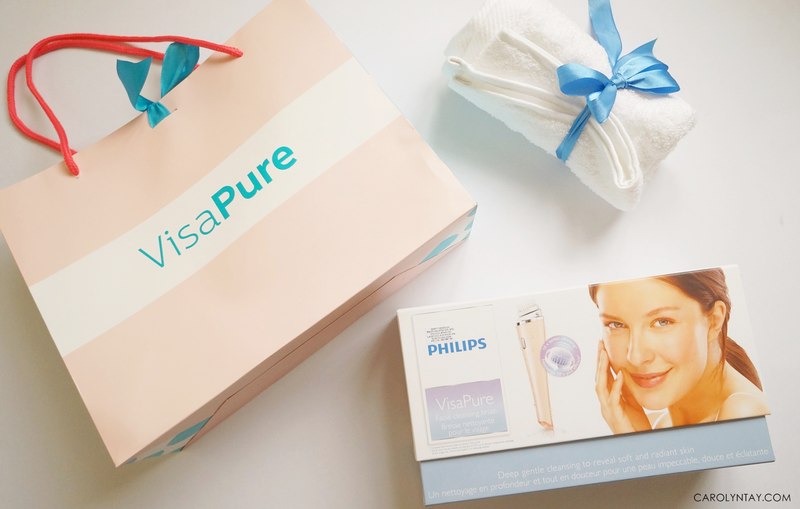 The famous electrical brand - Philips has developed the revolutionary Philips VisaPure to help their consumers make their beauty routines simpler and more convenient with the latest technology available. I know there is so many cleansing devices out there, so what's so different about Philips VisaPure? Let's find out! 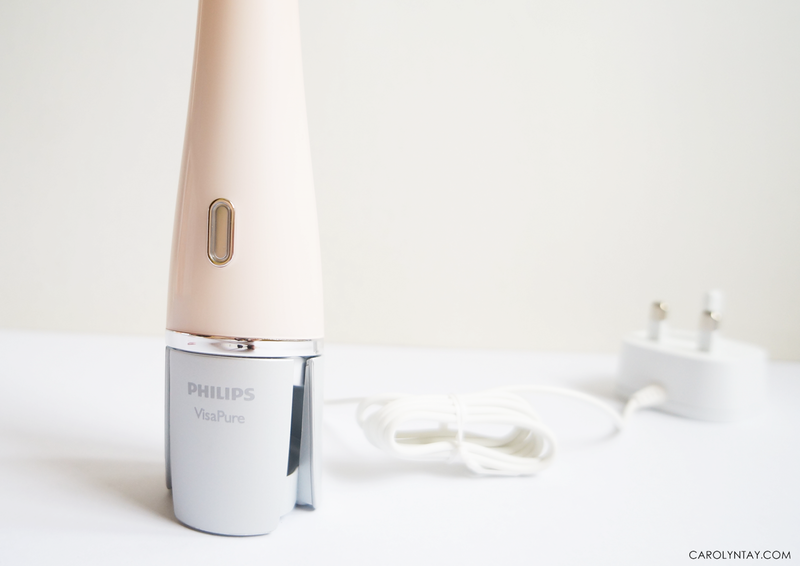 Philips Visa Pure is the only cleansing system in the world that features 'Dual Motion' technology (oscillates+vibrates), along with their silky soft brush that rotates and vibrates to gently remove makeup and dirt and also, cleanses away dead skin cells. This cleansing device is fully waterproof and can be used in shower for true convenience. No worries in getting it wet! 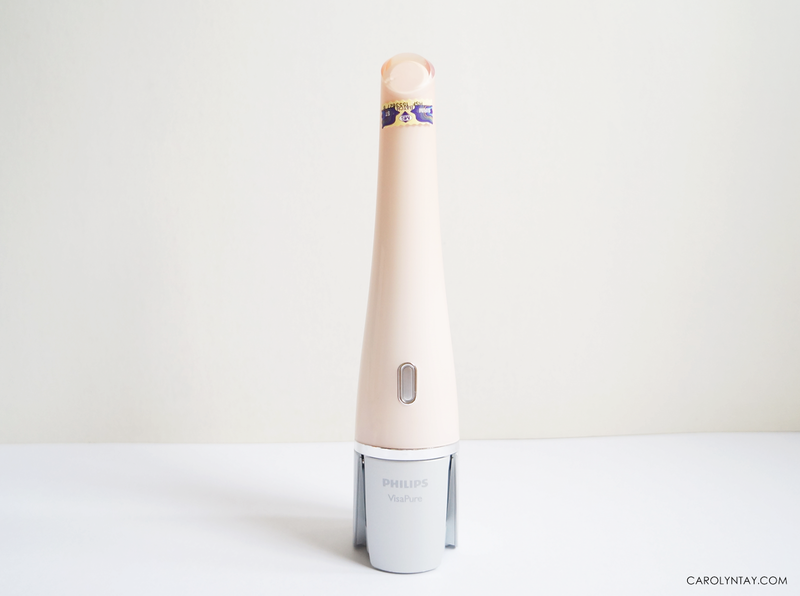 Plus, this cleansing device uses vertical vibrating motion of the brush that breaks up the surface dirt, which is then swept away by rotating movement, leaving skin deeply cleansed and stimulated, giving better absorption and revitalizing your skin to swiftly reveal your radiant complexion. 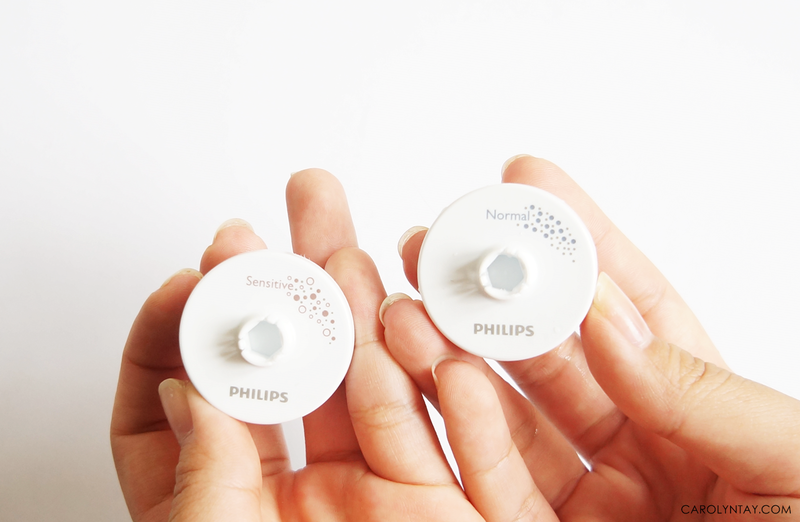 Philips proved that Philips VisaPure are 10 times more effective than cleansing by hand. *80% of the consumers achieved up to 10 times more makeup removal compared to hand cleansing according to Philip internal tests. Charging standing dock - the brush head is advised to be removed when charging. 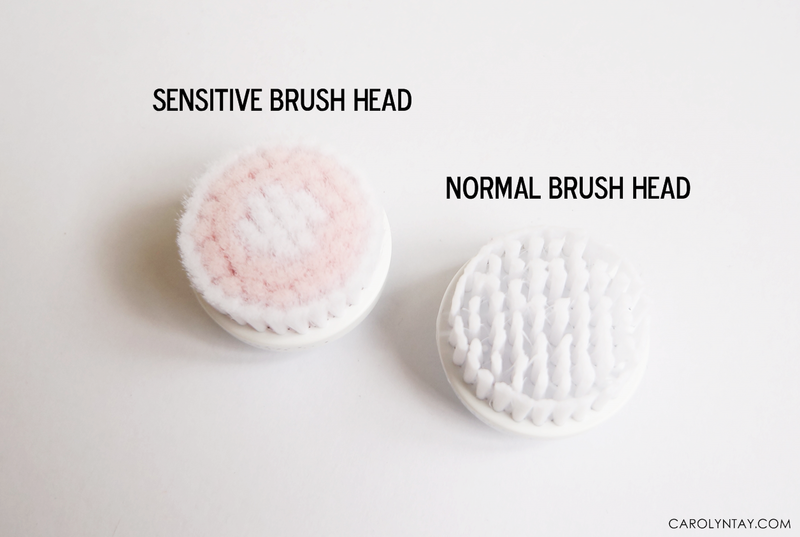 The model SC5275 (Peach) comes with a sensitive and a normal brush head while the model SC5265 (Blue) comes with only the normal brush head. To remove the brush head, just pull it out. To insert the brush head, just push in until you hear a "click". 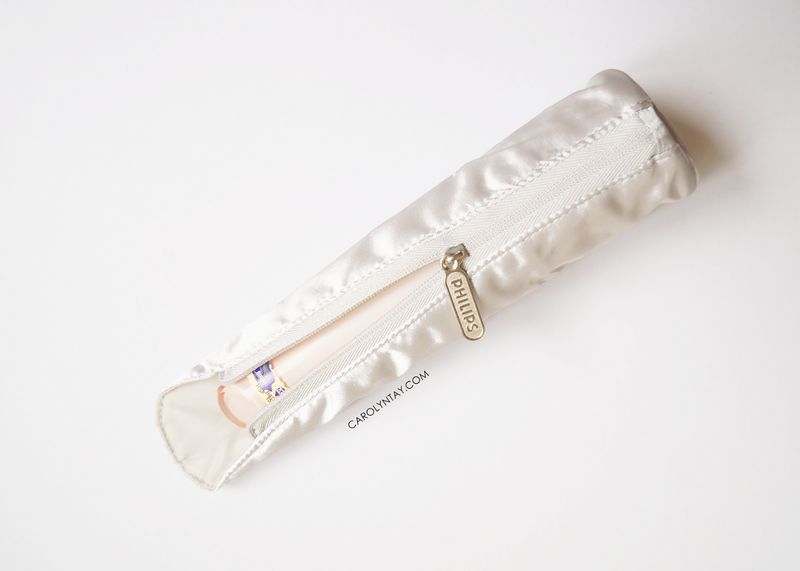 Every VisaPure comes with a travel pouch that fits your VisaPure nicely. 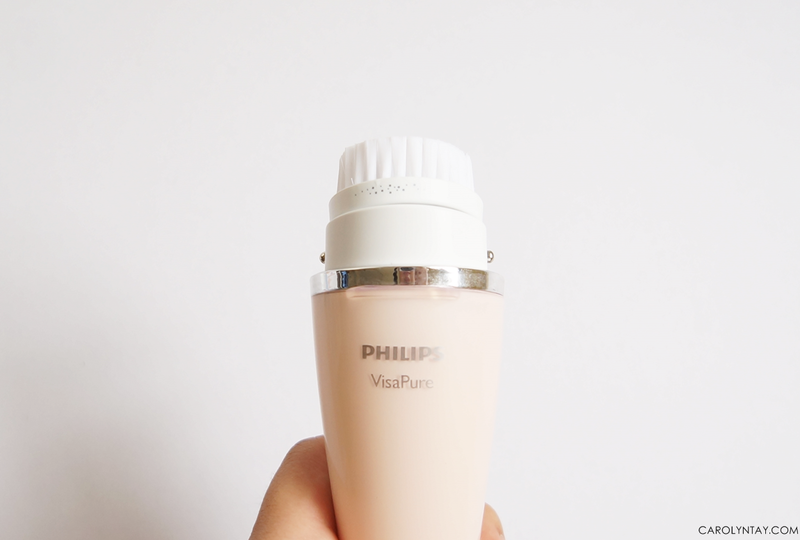 Philips VisaPure provides a gentle, thorough cleanse for your face or decolletage in just one minute. 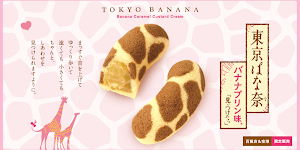 The face is divided into three zones; T-zone, left cheek and right cheek. 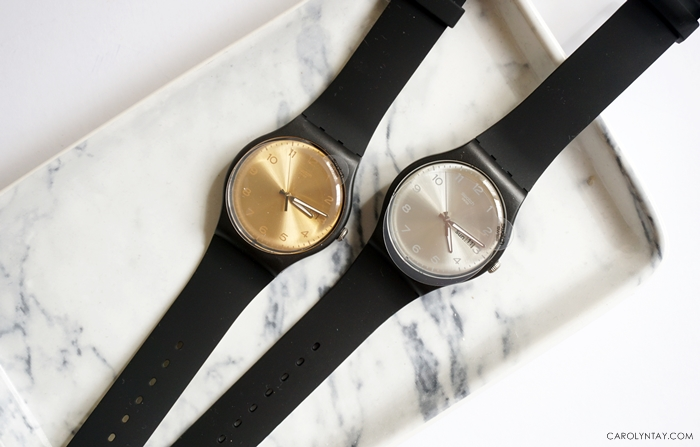 It has Skin Zone Timer Alert to notify you to switch zones after 20 seconds with a short pause. Therefore, 20 seconds for left cheek, 20 seconds for right cheek and 20 seconds for T-zone. The full program lasts one minute after which the device automatically switches off to avoid over-stimulation. Update: I've been using this for more than a month already and I am loving it! You can read the update on my skin and my thoughts of using VisaPure after a month.